Fine Hamilton Coronodo 14K white gold and enamel Art Deco vintage wrist watch circa 1937. 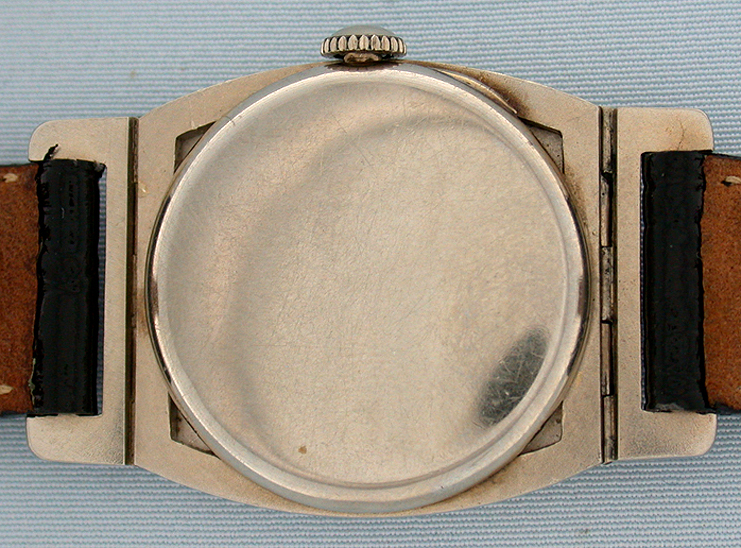 Silver dial with blued steel hands. The bezel with bold and handsome numerals against a black enamel background. The case with flexible lugs. 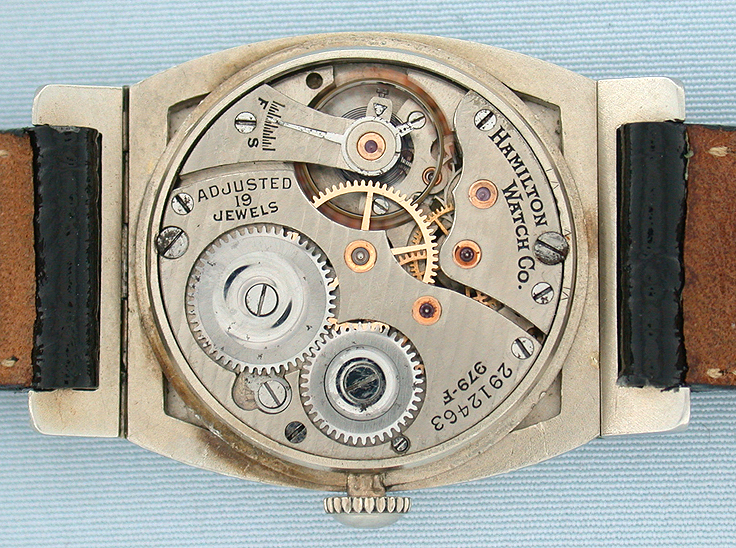 Nickel 19 jewel adjusted movement. 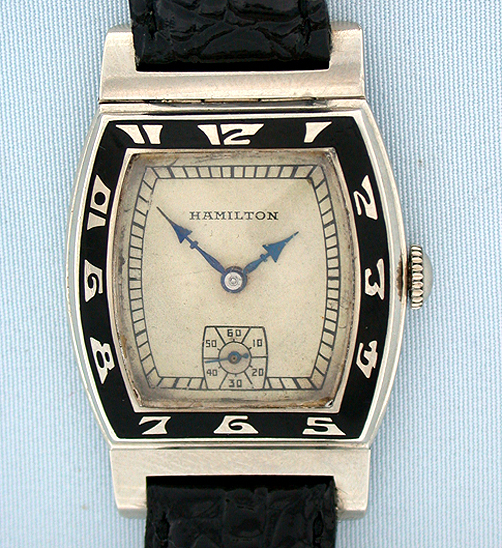 One of Hamilton's most handsome designs in particularly fine condition.